Thursday is Deadline Day in the Premier League, and Transfer Talk has the latest rumours making the rounds. Follow along with our daily blog throughout the summer. Everton completed deal for Yerry Mina, Andre Gomes and Bernard on Deadline Day day, as the Premier League window slammed shut for the summer. 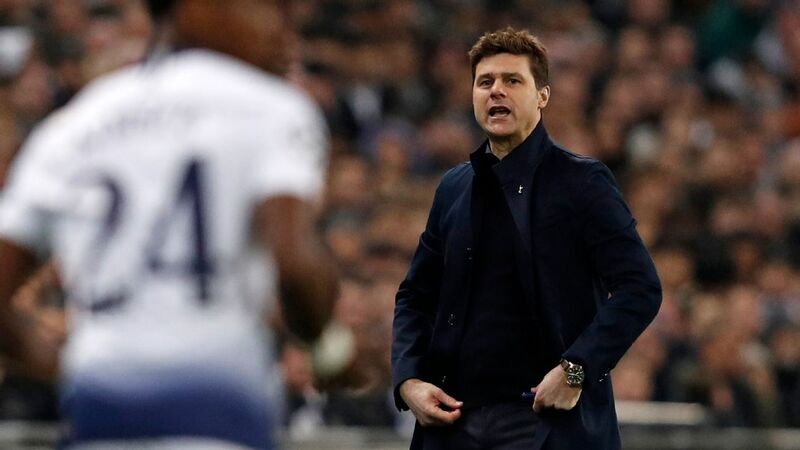 Both Manchester United and Tottenham Hotspur suffered deadline day frustration, with United failing to bring in the defender they wanted and Spurs completing a summer without any additions. Sky Sports claimed United were "chasing a deal for Atletico Madrid's Uruguay international Diego Godin" and had made contact with the club, but Gianluca Di Marzio reports that Godin turned down a United offer. 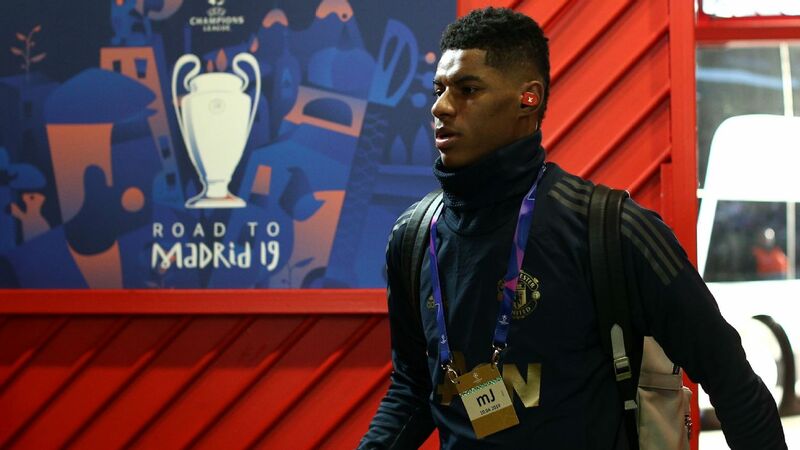 He says United matched the player's €25 million release clause and offered him a €9 million-a-season deal, but he rejected the approach and "seems determined to stay in Madrid with Diego Simeone's side." Spurs ended the window without any new faces -- but manager Mauricio Pochettino said he is happy with his squad as it is. 22.00 BST: That'll do it for deadline day in England. 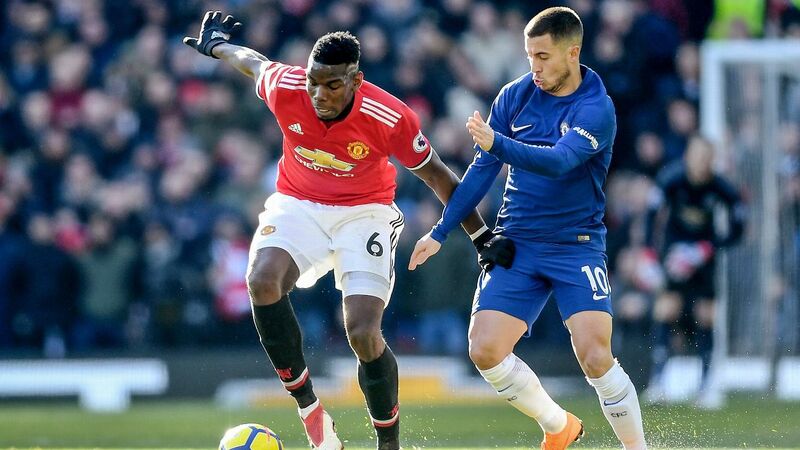 There were no massive moves from clubs like Man United and Tottenham but it did get busy late on with Everton and Fulham the busiest of the bunch. The European deadline is open until Aug.31 so transfer season is far from over. Remember to check back in a few hours for more links, rumours and completed deals from around the globe. Goodnight! 21.50 BST: Real Madrid have yet to bring in an attacker to help replace the giant void left by Cristiano Ronaldo's departure. If Madrid based outlet Libertad Digital is to be believed that could be changing soon. The outlet claim Inter Milan striker Mauro Icardi is the target and that Real have sent representatives to Rome to help negotiate a deal for the Argentine hitman. Icardi's €110 million release clause recently expired and with Real Madrid president Florentino Perez keen on bringing in a Galactico to replace Ronaldo, Icardi would make a lot of sense for the defending European champions. In a team that looks short of a goalscorer, Icardi would be a welcome addition, as the Argentine has been one of the most consistent scorers in Europe, scoring 107 goals in 182 appearances with Inter. 21.20 BST: -- DONE DEAL -- The Portland Timbers have brought Argentine forward Lucas Melano back from his loan with Estudiantes. The 25-year-old Argentine expressed a "strong desire" to return to Portland. Melano scored one goal last season in 13 games for the Timbers. 20.55 BST: Aston Villa and their fans will be relieved that the transfer window came and went without Jack Grealish leaving the club. Grealish further won over the fans with this tweet after the deadline had passed. He should get some reception at Villa Park this Saturday. 21.20 BST: -- DONE DEAL -- Watford also got one over the line this evening, inking Portugal Under-20 starlet Domingos Quina. The 18-year-old attacker had made four cup appearances for West Ham prior to his deadline day move to Vicarage Road. 21.00 BST: -- DONE DEAL -- The busiest team of the day have made their fifth and final signing of the day. Pending a work permit, Fulham have signed central midfielder Andre-Frank Zambo Anguissa from Marseille for what Sky reports is €22.3 million. 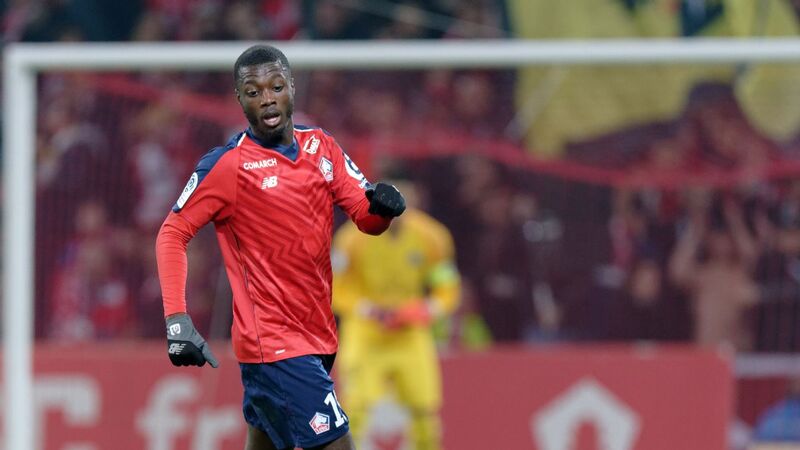 The 22-year-old Cameroon international has been a rock in midfield for the Ligue 1 side over the last two seasons, making 70 league appearances during that stretch. Anguissa is Fulham's 12th signing of the window as Tony Khan and Co. look to mean business in their return to the Premier League. 20.40 BST: -- DONE DEAL -- Southampton have bolstered their attack with a deadline-day signing of Liverpool striker Danny Ings. We hinted at this one earlier but now it is official. Ings arrives at St Mary's on a season-long loan with an obligation to buy for £20 million on July 1, 2019, sources tell ESPN FC. 20.29 BST: -- DONE DEAL(s) -- We confirmed the deals earlier but Everton have unveiled former Barcelona duo Yerry Mina and Andre Gomes. Mina and Gomes complete a busy window for the Toffees who also brought in Richarlison, Lucas Digne and Brazilian attacker Bernard. 20.15 BST: -- DONE DEAL -- Another one for Fulham who are splashing the cash after being promoted back to the Premier League. The London club have announced they have signed Timothy Fosu-Mensah on loan from Man United. The 20-year-old Netherlands international has made 21 first-team appearances for the Red Devils and last season was a regular on loan at Crystal Palace. Fulham might not be quite done yet as they are rumoured to have a deal in place for Marseille midfielder Andre-Frank Zambo Anguissa. What a window from the Cottagers! 20.03 BST: -- DONE DEAL -- They keep trickling in. Crystal Palace as expected have signed Ghanaian winger Jordan Ayew on a season-long loan from Swansea City. The 26-year-old Ayew scored seven goals last season but it wasn't enough to save the Swans who were relegated to the Championship. 19.40 BST: -- DONE DEAL -- Newly-promoted Rayo Vallecano have signed centre-back Jordi Amat from Swansea. OFICIAL | @JordiAmat5 es oficialmente nuevo jugador del Rayo Vallecano para las próximas 4 temporadas, tras el acuerdo alcanzado para su traspaso desde el @SwansOfficial. The Spaniard played last season on loan at Real Betis and previously spent time at Vallecano while on loan from Espanyol in 2012-13. 19.20 BST: -- DONE DEAL -- Out-of-favour Atletico Madrid forward Luciano Vietto is the latest player headed to Craven Cottage. Fulham have announced they have brought the 24-year-old Argentine in on a season-long loan. Vietto signed with Atletico in 2015 for €20 million from the Yellow Submarine but has struggled since, spending time on loan at both Sevilla and Valencia. 19.04 BST: -- DONE DEAL -- Brighton have announced that they have signed Valencia right-back Martin Montoya. The 27-year-old has been a regular at Valencia the last two seasons, having previously spent time at both Barcelona and Inter Milan. This deal is subject to international clearance. 18: 51 BST: Leicester have been busy here late at the window. After signing Caglar Soyuncu, the Foxes have now announced they have signed star striker Jamie Vardy to a new contract that will keep the England man at Leicester through 2022. Cardiff have signed rugged midfielder and Republic of Ireland international Harry Arter on loan from Bournemouth. Newcastle have also made a late signing. The Magpies have signed veteran defender Federico Fernandez from Swansea for an undisclosed fee. Fernandez previously worked with Benitez at Napoli. 18.35 BST: Brendan Rodgers and Celtic are confident they are close to making two signings in the coming days. The Hoops are expected to add Australia whiz kid and recent Man City signing Daniel Arzani on loan and also to bring back fan favourite Emilio Izaguirre, who left the club just last summer. Arzani, who was the youngest player at the 2018 World Cup at 19, is viewed as the next face of Australian football while the 32-year-old Izaguirre returns after having his contract ended prematurely by Saudi club Al-Fayha. The Honduran made over 250 appearances for Celtic between 2010-17. 18.20 BST: -- DONE DEAL -- Leicester have gotten a deal done under the wire... this time that is. After botching a late move for Adrien Silva last season, Leicester have learned from their mistake and signed Turkish international Caglar Soyuncu just ahead of the buzzer -- pending international clearance. #lcfc can confirm that an agreement has been reached with SC Freiburg for the transfer of defender Çağlar Söyüncü. The 22-year-old Freiburg defender was linked with Arsenal and Man United earlier in the window but is headed to the King Power in a reported £15 million deadline day move. 18.10 BST: Liverpool and Southampton have reportedly been handed an extension to work out a loan-deal for oft-injured striker Danny Ings. 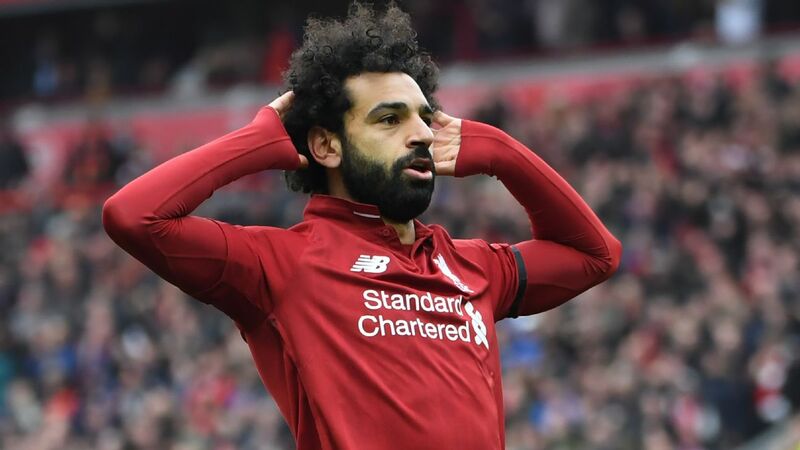 The 26-year-old has played just 25 times for Liverpool since arriving at Anfield from Burnley in 2015. 18.00 BST: -- DONE DEAL -- Championship favourites Stoke have strengthened their side at the deadline signing midfielder Sam Clucas from Swansea. The 27-year-old has signed a four-year contract with the Potters. 17.42 BST: -- DONE DEAL -- Fulham have announced a pair of signings just after the deadline. First they have signed goalkeeper Sergio Rico on loan from Sevilla and second, that they have bought full-back Joe Bryan from Bristol City. The 24-year-old Spaniard has made over 100 league appearances for Sevilla, and backstopped the club to back-to-back Europa League titles in 2014-15 and 2015-16. Fulham already signed a goalkeeper this window in Fabri but Rico figures to slot in as the club's new No.1. Bryan, also 24, has been a staple for Bristol the last four seasons and is best known for his FA Cup goal last season against Man United. 17.10 BST: Manchester United defender Timothy Fosu-Mensah is close to joining Fulham on loan, sources have told ESPN FC. 17.07 BST -- DONE DEAL: It's Huddersfield's go on the done deal carousel now with the signing of Belgium under-21 international Isaac Mbenza from Montpellier. ✅ #htafc has completed the loan signing of Belgium Under-21 international Isaac Mbenza from French Ligue 1 club @MontpellierHSC. 🗣️ David Wagner: "When we first spoke, it's clear that he is a real winner." 17.00 BST: THE PREMIER LEAGUE TRANSFER WINDOW IS CLOSED! 16.50 BST -- DONE DEAL: Everton have confirmed the arrival of Brazil attacker Bernard at Goodison Park on a four-year contract. 16.45 BST: 15 MINUTES REMAINING UNTIL THE CLOSE OF THE PREMIER LEAGUE TRANSFER WINDOW. 16.40 BST: Fulham could sign Atletico Madrid striker Luciano Vietto on loan from Atletico Madrid on loan, according to the Mail. 16.30 BST: Back to Sport, and to Everton -- the Toffees have agreed a deal to sign Barca defender Yerry Mina for around £30 million, it reports. 16.20 BST -- DONE DEAL: Nottingham Forest have signed defender Michael Hefele from Huddersfield Town for an undisclosed fee. 16.10 BST: Sport reports that Barcelona midfielder Andre Gomes has wrapped up a season-long loan move to Everton, with the Toffees paying a fee of around £2.5 million. 16.00 BST: In France, L'Equipe reports that Everton have reached an agreement to sign Kurt Zouma from Chelsea. 15.45 BST -- DONE DEAL: Birmingham forward Nicolai Brock-Madsen has joined Scottish side St Mirren on a six-month loan. 15.40 BST: Leicester striker Islam Slimani is reported to be close to a loan move to Fenerbahce. 15.30 BST: Rangers midfielder Josh Windass could be heading for Wigan Athletic for around £2 million, according to reports. 15.10 BST: Inter Milan are stepping up their pursuit of Monaco forward Keita Balde, Footmercato reports. 14.55 BST: Barcelona have again said that Ousmane Dembele, the subject of reported interest from Arsenal, is not for sale, ESPN FC's Barca correspondent Sam Marsden reports. 14.50 BST: Valencia defender Martin Montoya is set to join Brighton, sources have told ESPN FC, after Fulham had been hopeful of signing him. 14.10 BST: Everton defender Callum Connolly has signed a new contract at Goodison Park and moved to Wigan Athletic on a season-long loan deal -- his second spell with the Latics. ↩️ | And @Callum1connolly has immediately joined @LaticsOfficial on a season-long loan. 14.00 BST: QPR's Luke Freeman is a man in demand today. First Blackburn had a bid rejected, and its has now been reported that Middesbrough have tabled an offer. 13.55 BST: Forward Jimmy Briand, out of contract since a move to Montreal Impact collapsed, is expected to join Bordeaux, according to reports. 13.50 BST: West Brom could turn their attentions to a loan move for Norwich right-back Ivo Pinto with hopes of success in their attempts to bring in Rangers' James Tavernier fading. 13.45 BST: Talk of quiet transfer windows so far brings us to Newcastle, but that could be about to change -- reports say Swansea defender Federico Fernandez is having a medical on Tyneside. 13.40 BST: Mauricio Pochettino is not expecting Tottenham Hotspur to make any signings before Thursday's deadline, but insists he is happy with his squad and says the club will be competitive this season. Spurs have yet to sign or sell any senior players -- and the Premier League window closes at 5 p.m. BST. 13.30 BST -- DONE DEAL: Young Manchester City forward Lukas Nmecha has joined Preston North End on a season-long loan. ✍️ BREAKING: #pnefc are delighted to confirm the signing of @ManCity's @England U21 striker Lukas Nmecha on a season-long loan. 13.25 BST: Watford are hoping to sign West Bromwich Albion midfielder Jake Livermore on loan, Sky Sports reports. 13.20 BST -- DONE DEAL: Cardiff City have confirmed the season-long loan signing of Real Betis midfielder Victor Camarasa. 13.15 BST: Leicester boss Claude Puel, who takes his side to Old Trafford on Friday, has teased Manchester United about Harry Maguire, telling a news conference: "I can confirm he is going to Manchester -- but only for a couple of hours!" 13.10 BST: Stand by for a rare cross-Birmingham move -- that city's Mail reports that Aston Villa midfielder Gary Gardner has arrived at Birmingham City for a medical ahead of a season-long loan. 13.05 BST: It's raining in the UK, so let's go to the seaside, where Brighton are set to sign Wigan defender Dan Burn for around £5 million before loaning him back to the Latics, according to the Mail. 12.55 BST: Torino could make a move for Watford midfielder Roberto Pereyra, reports in Italy say. 12.50 BST: Andre Schurrle has said fans' jealousy drove him to return to England with Fulham and is why many Germany internationals do not play in the Bundesliga. 12.40 BST: Wolves continue to be linked with absolutely everybody, and that includes Fenerbahce midfielder Josef de Souza, according to the Birmingham Mail. 12.30 BST: Time, now, to hear from ESPN FC's Arsenal correspondent Mattias Karen, who says: "Lucas Perez may not be the only player to leave the Emirates today. Sources told ESPN FC on Wednesday that the Gunners would consider offers for Danny Welbeck, Mohamed Elneny and David Ospina, and Carl Jenkinson falls into that bracket too. Arsenal fans are holding out hope for another signing, with the team looking a bit thin in defence following Sead Kolasinac's injury and Calum Chambers' loan to Fulham, but the latest reports from Turkey claim a move for Besiktas centre-back Domagoj Vida won't happen. 12.20 BST -- DONE DEAL: Brentford have signed teenage defender Canice Carroll from League One Oxford for an undisclosed fee. 12.15 BST: Alexis Sanchez has told ESPN he would have liked Manchester United to have signed "many more world-class players" when asked before deadline day about United's quiet transfer window, adding: "But it's the club's decision." 12.05 BST: Neil Warnock is back in the Premier League in a couple of days, with the serial promotion-winner continuing to work on bvolstering his squad for the challenges ahead. Sources have told ESPN FC that Cardiff have agreed season-long deal for Real Betis midfielder Victor Camarasa and have also agreed a deal in principle to sign Harry Arter on loan from Bournemouth. 11.50 BST: Tottenham Hotspur have been told that Aston Villa midfielder Jack Grealish is not for sale at any price. It was reported Spurs had a £25m bid for Grealish rejected earlier this week as Villa's new owners have insisted that the England under-21 international would not leave before the transfer deadline on Thursday. 11:45 BST: Sky Sports reports that Yerry Mina is undergoing a medical at Everton ahead of a move to Goodison Park, while reports in Spain say Andre Gomes is set to join them on loan from Barcelona. 11:35 BST: Earlier in the day, disappointing reports suggested that Paris Saint-Germain midfielder Goncalo Guedes would not be going to Watford. But this might make up for them: Sport reports that Gerard Deulofeu is trying to persuade Barcelona's Paco Alcacer to join him at Vicarage Road. We wish Gerard all the best on this one -- it would be great. 11:30 BST: ESPN FC's Liverpool correspondent Glenn Price has this to say about what we might expect from an Anfield direction: "I'm anticipating it's going to be an extremely quiet transfer deadline day. Jurgen Klopp, to his credit, did the bulk of his transfer work earlier in the window and only outgoings are expected today. Danny Ings could be the biggest storyline, but so far there's been no movement on his potential departure. Simon Mignolet and Divock Origi have been linked with moves abroad, meaning they have until the end of the month to secure transfers." 11:25 BST: Sky Sports reports that Blackburn Rovers, back in the Championship this season, have seen a £4 million bid for attacker Luke Freeman rejected by Queens Park Rangers. 11:20 BST: Back to Reading, and why on Earth not? 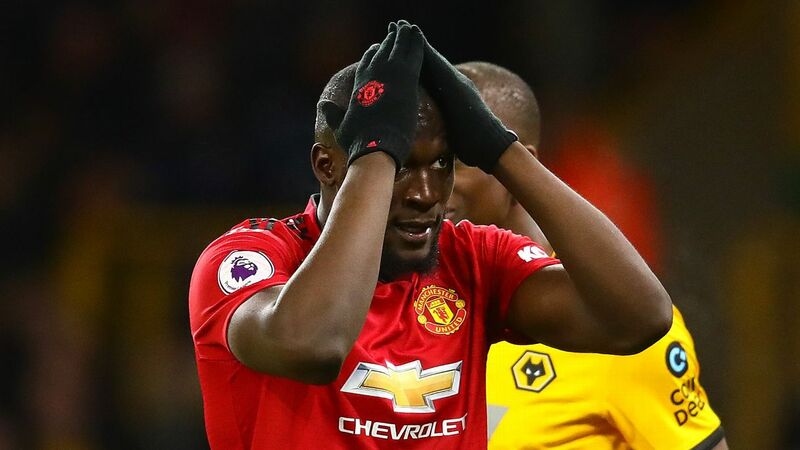 They are set to seal the double signing of Wolves defender Kortney Hause and Swansea midfielder Jay Fulton, sources told ESPN FC. 11:10 BST -- DONE DEAL: Ipswich manager Paul Hurst is having a busy summer, and it's just got busier with the signing of striker Kayden Jackson from Accrington Stanley on a three-year deal. 10:50 BST: Leicester have wrapped up the signing of central defender Filip Benkovic from Dinamo Zagreb. 10:45 BST: Oleksandr Zinchenko's move to Wolves from Manchester City has stalled, with the player looking unlikely to agree personal terms, sources have told ESPN FC. 10:31 BST: West Ham have confirmed the arrival of striker Lucas Perez from Arsenal. 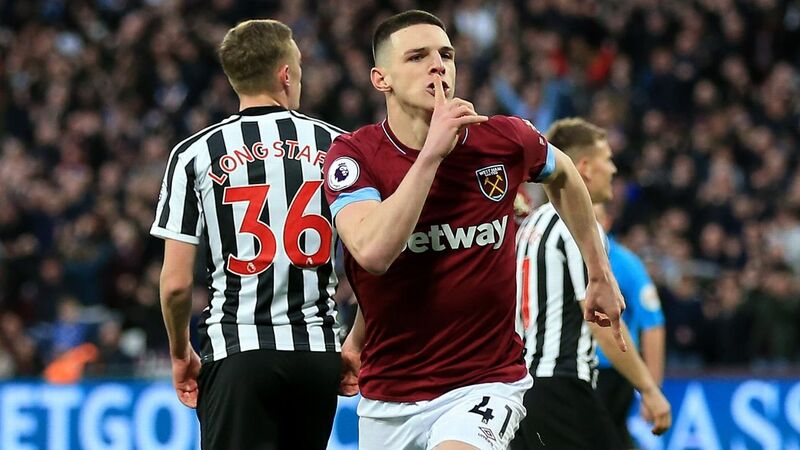 He has signed a three-year contract and joins Ryan Fredericks, Lukasz Fabianski, Issa Diop, Jack Wilshere, Aindriy Yarmolenko, Fabian Balbuena and Felipe Anderson as a summer arrival. 10:30 BST: Good news and bad news for Fulham this morning. The good is Footmercato reporting that they are closing in on a move for Marseille midfielder Frank Zambo Anguissa, who would cost them around €30 million. The bad is the Mirror reporting that Southampton have turned down a £15 million offer for defender , who played for the Cottagers on loan last season. 10:20 BST: Aston Villa boss Steve Bruce remains hopeful that he can bring West Ham winger Robert Snodgrass back to Villa Park on a second season-long loan deal, according to the Birmingham Mail. 10:10 BST: Tottenham Hotspur are ready to make an improved £30 million bid for Aston Villa midfielder Jack Grealish, sources close to the club have told ESPN FC's Peter O'Rourke. The North Londoners had a £25 million bid rejected earlier this week. 10.05 -- DONE DEAL: Chelsea have signed Croatia midfielder Mateo Kovacic from Real Madrid on a season-long loan deal. 10:00 BST: West Ham remain interested in signing Porto striker Moussa Marega, according to reports, despite having a bid for him turned down earlier in the summer. 09:50 BST: Plenty of clubs have been linked with a move for Crystal Palace star Wilfried Zaha, but chairman Steve Parrish doesn't think anything's going to happen now. Speaking to Sky Sports, Parrish said: "It would be a ridiculous point to do it, wouldn't it? I mean, to go the whole transfer window and only think about it now to come in with a bid would be ridiculous." 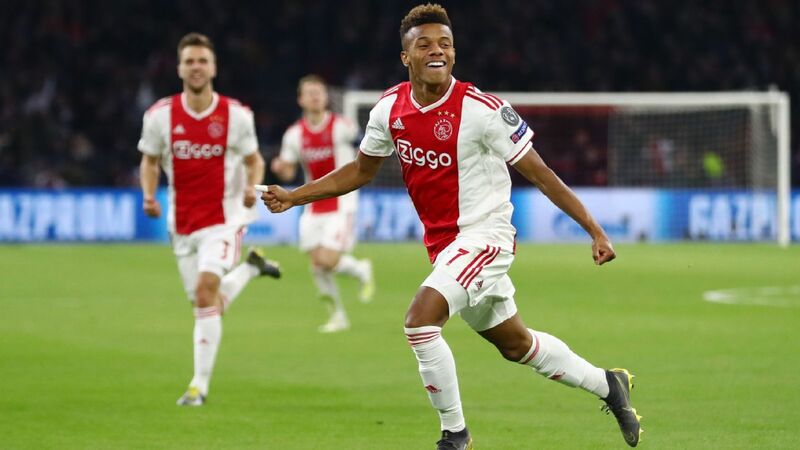 09:45 BST: Barcelona have reached an agreement with Ajax to sign midfielder Frenkie de Jong if the Eredivisie side fail to qualify for the Champions League - but if they do make it, Barca will wait until next summer. 09:40 BST: Leeds manager Marcelo Bielsa is a very kind man, according to the Mirror, which says he "wants to end Mo Besic's Everton nightmare by bringing him to Elland Road in a £4.5 million deal. Leeds is nice at this time of year, too. 09:35 BST: Manchester United manager Jose Mourinho says he is "not confident" he will get any new signings before the transfer deadline. United have until 5 p.m on Thursday to add new players ahead of the start of the season. Sources have told ESPN FC that they are interested in central defenders Jerome Boateng, Toby Alderweireld, Harry Maguire and Yerry Mina but Mourinho -- who has said the season could be "difficult" if the squad is not bolstered -- told a news conference he is not expecting new arrivals. 09:30 BST: After reports suggested that Watford had launched a big-money bid for Paris Saint-Germain midfielder Goncalo Guedes, the Mirror ruins all that excitement by telling us that, in fact, they haven't. 09:20 BST: Contrary to earlier reports, Manchester United do not intend to attempt a permanent move for Zouma, sources have told ESPN FC. 09:10 BST: As his proposed move from Nice to Marseille drags on, Mario Balotelli expressed his love for Napoli when answering questions from followers on Instagram. "You'd have to ask your president," Balotelli wrote in response to a question about why he hasn't joined the club, according to TuttoMercatoWeb. He added later: "My daughter is half Neapolitan, I loved a Neapolitan woman, I love the Neapolitans and the Neapolitan fans, I love Napoli and I loved Maradona." 09:08 BST: Crystal Palace remain in negotiations with Swansea striker Jordan Ayew, who has refused to report to training in order to try to force a move away from the club. 09:06 BST: DONE DEAL -- Newcastle United have sold 20-year-old striker Ivan Toney to Peterborough United. 09:01 BST: DONE DEAL -- Germany under-21 international Phillip Ochs has joined Aalborg on a season-long loan from Hoffenheim. 08:46 BST: QPR's proposed move for Huddersfield Town's Michael Hefele has been hijacked as Nottingham Forest have expressed interest in the defender, sources told ESPN FC's Peter O'Rourke. 08:32 BST: Fulham are in talks to sign Sevilla goalkeeper Sergio Rico on loan from Sevilla, sources told ESPN FC's Peter O'Rourke. Rico, 24, flew into London last night and is set to undergo a medical today. 08:23 BST: Davide Torchia, the agent for Juventus defender Daniele Rugani, said that Chelsea made "a really big bid" but that Rugani is not interested in leaving Italy. "Juventus have no desire to sell him, not even for a high price -- which, among other things, no one in Italy could afford," Torchia said in an appearance on RMC Sport's "Sport Live" show. 08:19 BST: It appears incredibly unlikely that Nabil Fekir will be leaving Lyon for the Premier League this summer, but it's still possible that he could leave with three weeks remaining until the Ligue 1 transfer deadline. "It's the question of the summer," coach Bruno Genesio told reporters after Fekir returned to the club to start preseason training. "For the moment, he's a Lyon player. I found him in good shape and happy to get back to us. That's very important. We'll wait for the end of the transfer window to know where he's at." 08:16 BST: ESPN FC's Peter O'Rourke reports that Middlesbrough have had bids for Millwall duo Jed Wallace and George Saville rejected, while Derby County midfielder Jamie Hanson is set to join Oxford United. 08:12 BST: DONE DEAL -- Australia international Daniel Arzani will be staying within the City Football Group family as Manchester City have announced the signing of the winger. Arzani, according to ESPN FC's Peter O'Rourke, will be loaned to Celtic for the season. 08:09 BST: Although Jose Mourinho seemed content to add just a centre-back to the fold before the deadline strikes, the club have made an approach to Paris Saint-Germain for left-back Layvin Kurzawa, L'Equipe reports. Thomas Tuchel wants to keep the France international, but if United were to make a significant offer, according to the report, they could be convinced to sell him. 08.00 BST: You want more? Well, you're in the right place ... Sources have told ESPN FC that Leicester City forward Josh Gordon is set to join Walsall. 07.45 BST: A lot went down overnight, and if you didn't stop by the homepage and came straight for your fix of transfer news, here is a quick round-up. Thibaut Courtois is set for a move from Chelsea to Real Madrid pending a medical, after the clubs announced they had agreed a deal on Wednesday. Meanwhile, Chelsea completed the club-record signing of Kepa Arrizabalaga on Wednesday, hours after Athletic Bilbao confirmed the triggering of his £71.5m release clause, making him the world's most expensive goalkeeper. And as part of the deal Madrid midfielder Mateo Kovacic will join Chelsea on a season-long loan. Good morning and welcome to DEADLINE DAY in the Premier League. Though remember that many other countries in Europe keep on going until the end of August! Arsenal have made a late £90 million bid for Barcelona winger Ousmane Dembele, according to the Mirror. With less than two hours remaining until the Premier League transfer window closes, the Gunners are reported to have tabled an offer for Dembele, who cost Barca €105m, rising to €145m with add-ons, when he joined from Borussia Dortmund a year ago. The France international, 21, missed four months of last season with injury problems and struggled to establish himself at the Camp Nou, but ESPN FC's Barca correspondent Sam Marsden reported that the club wanted to keep him. Meanwhile, the Gunners are considering a move for Domagoj Vida after being told they would have to pay almost £27 million to sign the Besiktas defender, says the Evening Standard. They had been thinking of a cash-plus-player offer -- with such a deal including Danny Welbeck or David Ospina, two players they would reportedly consider parting with -- but the Turkish club are thought to want a straight sale. Liverpool are monitoring the situation as well. 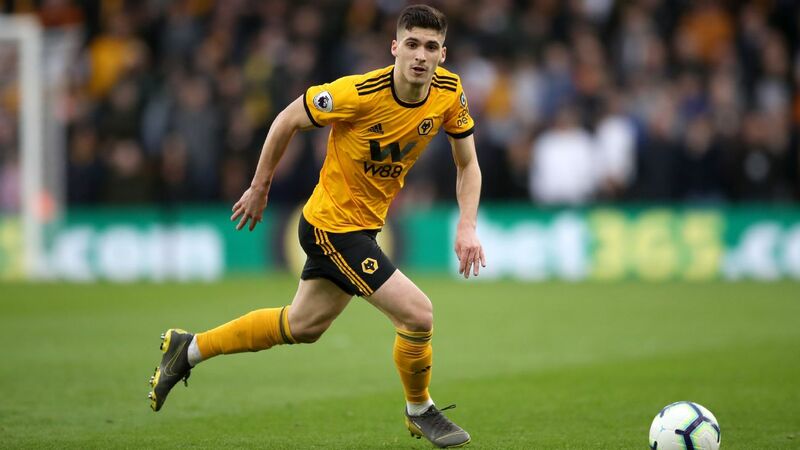 As they continue to bolster their squad for the Premier League season, newly-promoted Wolverhampton Wanderers look set to take their summer spending beyond the £80 million mark. Having sealed a club-record £18m deal for Adama Traore on Wednesday, Wolves are reportedly close to tying up moves for Leander Dendoncker and Oleksandr Zinchenko of Anderlecht and Manchester City, respectively. With Dendoncker set to cost around £12m, according to the Guardian, and Zinchenko somewhere around £16m, according to ESPN FC sources, both are pencilled in for medicals at Molineux on Thursday. - The agent for Bayern Munich defender Jerome Boateng has entered talks with Paris Saint-Germain's sporting director, Antero Henrique, according to Bild. Le Parisien says that's Boateng's preferred destination, with Bayern prepared to accept €45 million. - Tottenham may be about to let Danny Rose leave on loan, with Sky Sports reporting that the left-back is currently in talks with Schalke over a shock transfer. The Mail adds that Schalke would hope to include an option that would allow them to sign the 28-year-old permanently next summer. - Everton will unveil new signing Bernard on Deadline Day after the Brazilian midfielder completed his medical with the club on Wednesday. A free agent after leaving Shakhtar Donetsk at the end of last season, Bernard is expected to sign a five-year contract that will net him around £150,000 a week, says the Mirror. 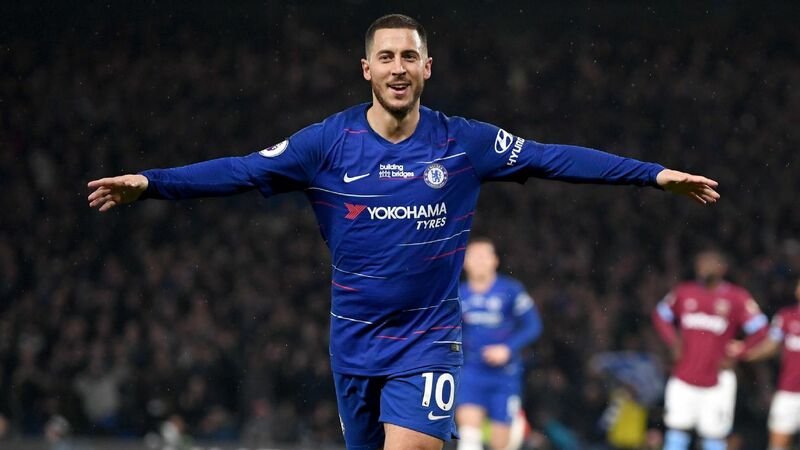 - Chelsea are preparing themselves for an "exodus" of squad players after firming up a deal for Kepa and a loan deal for Mateo Kovacic. A number of players may leave, the Telegraph reports, including Zouma, Tiemoue Bakayoko, Michy Batshuayi and Danny Drinkwater.